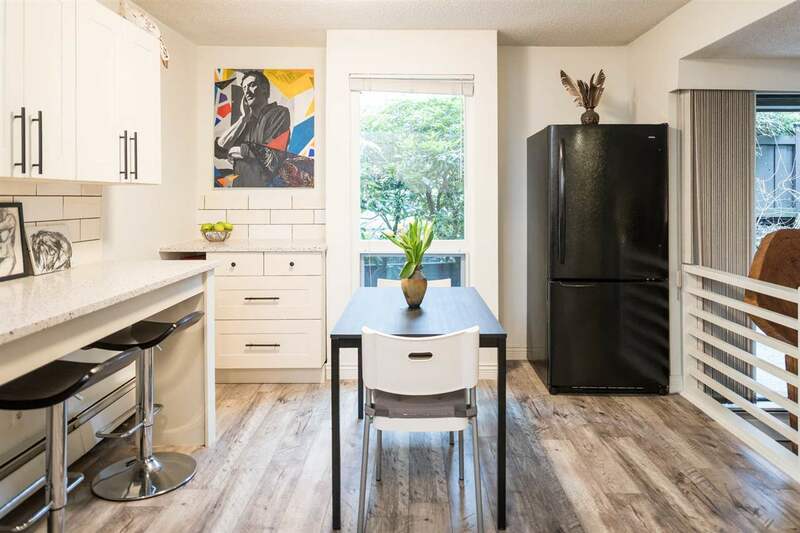 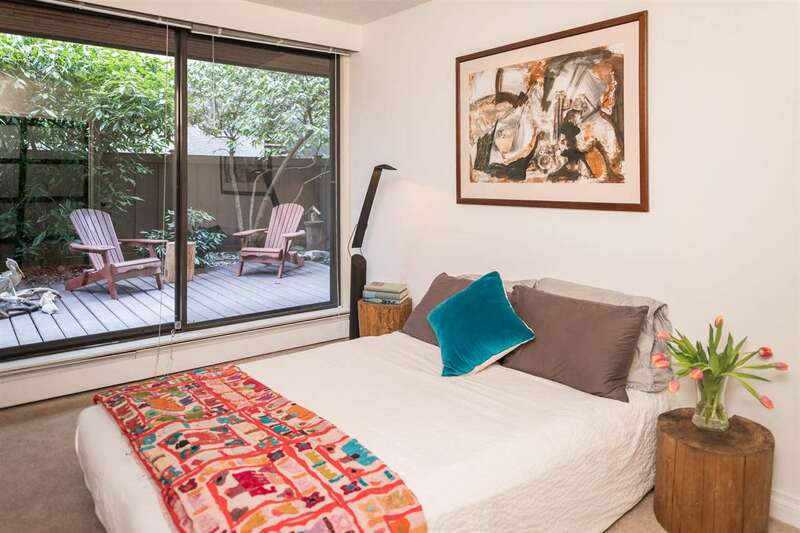 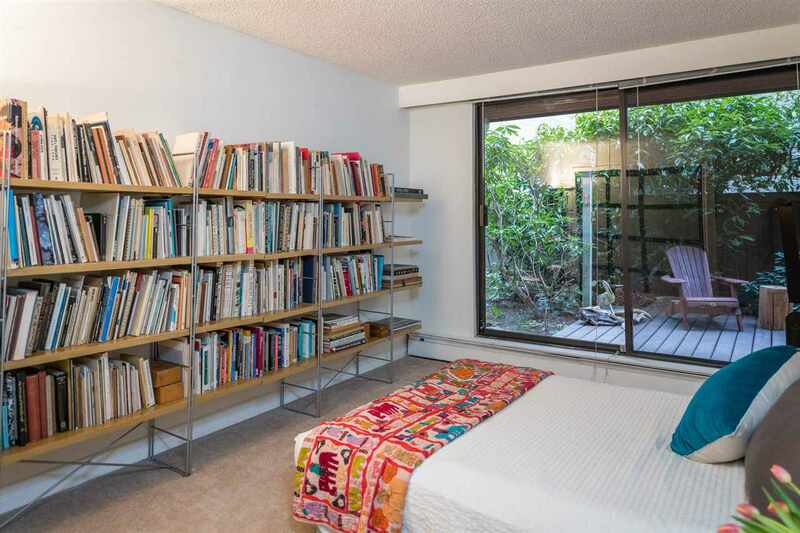 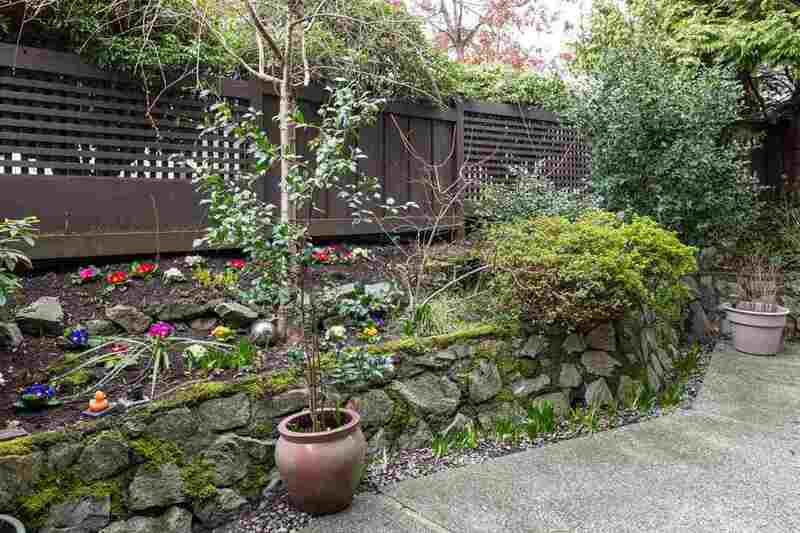 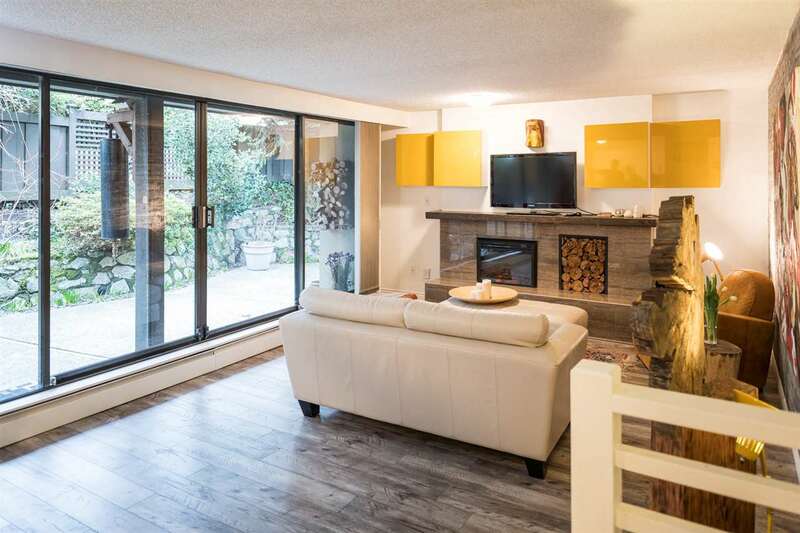 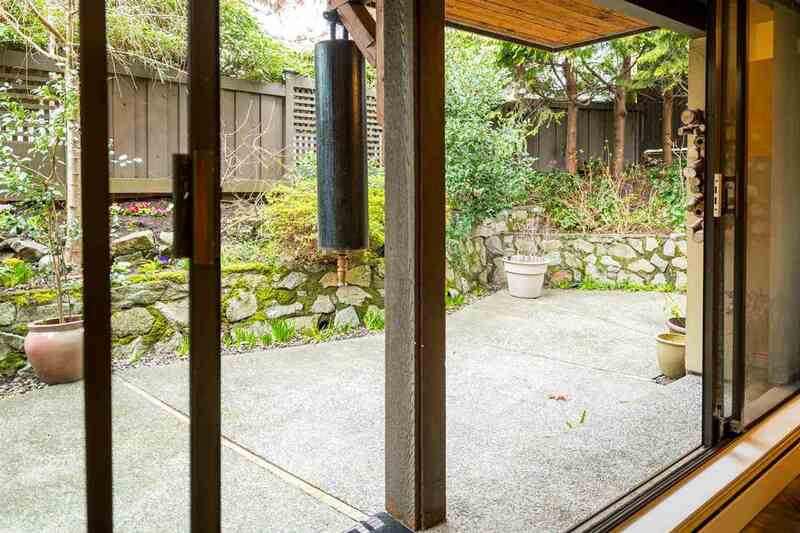 Incredible 2 bedroom garden oasis in the heart of Central Lonsdale! 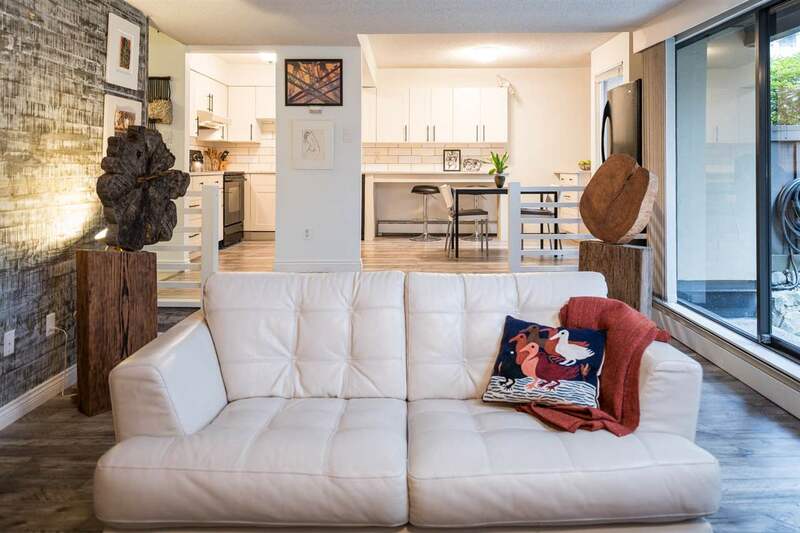 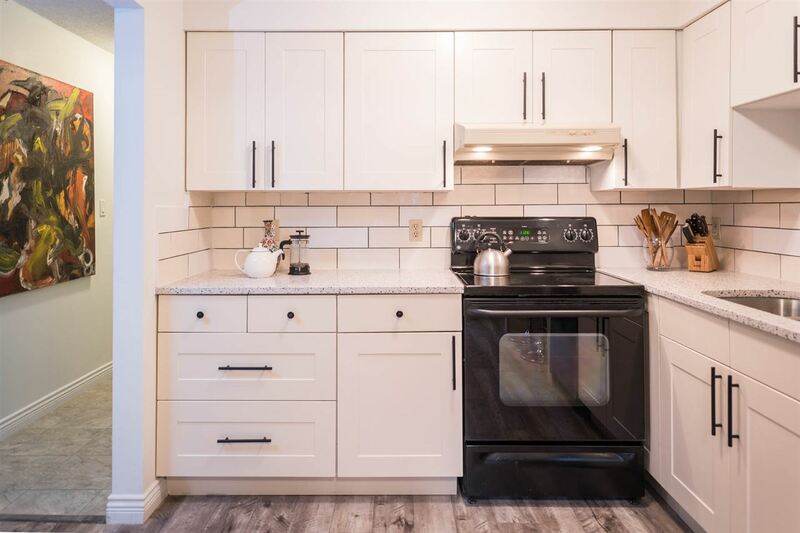 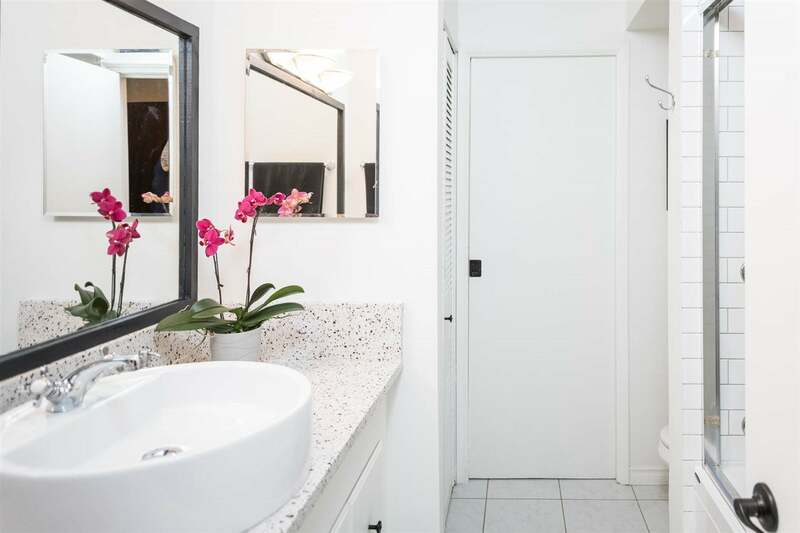 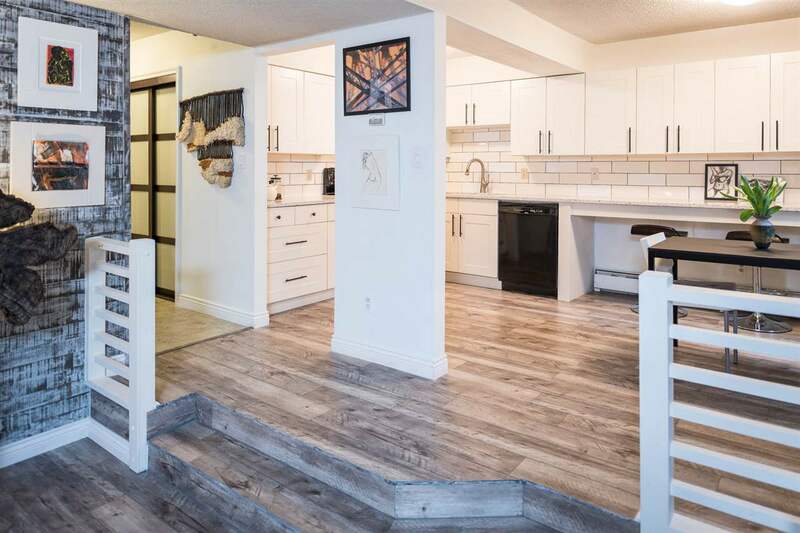 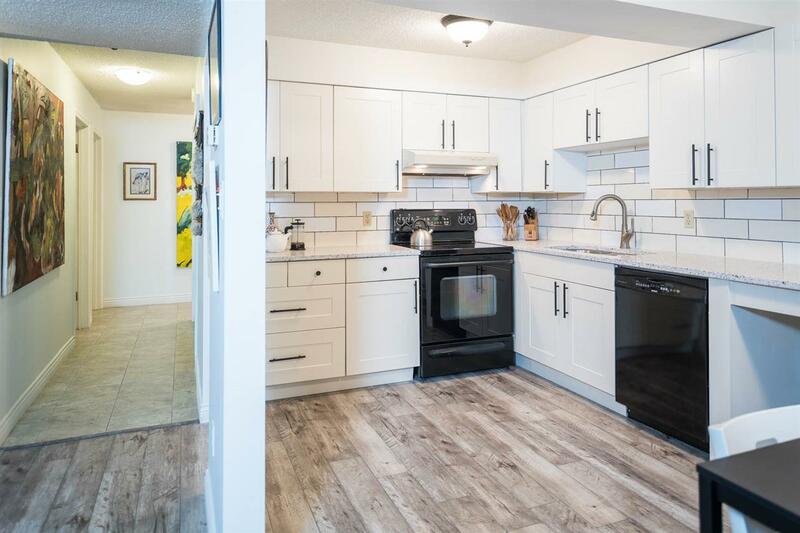 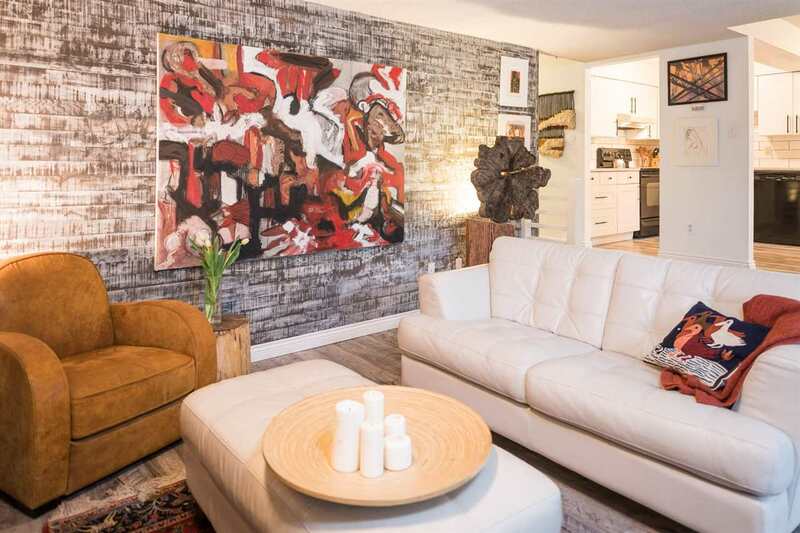 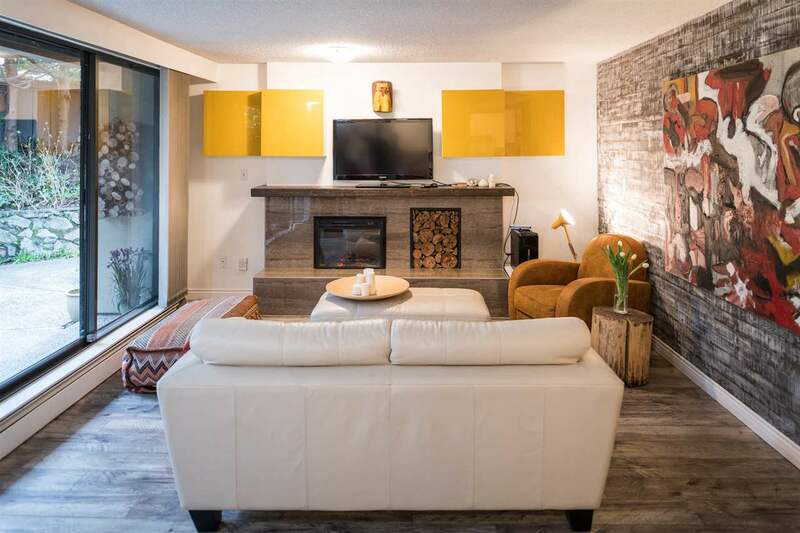 Offering over 1580 sq.ft of interior and exterior private living space, this fully renovated, contemporary condo features INSUITE LAUNDRY, rich laminate flooring & modern upgrades throughout. 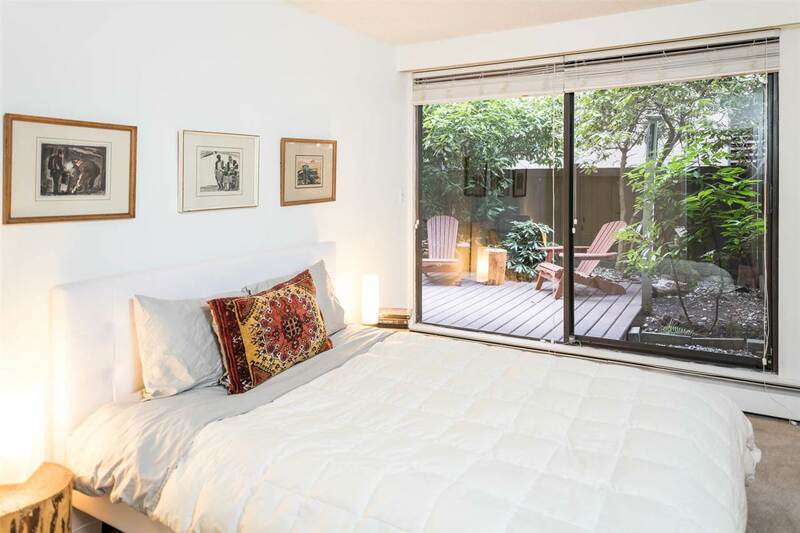 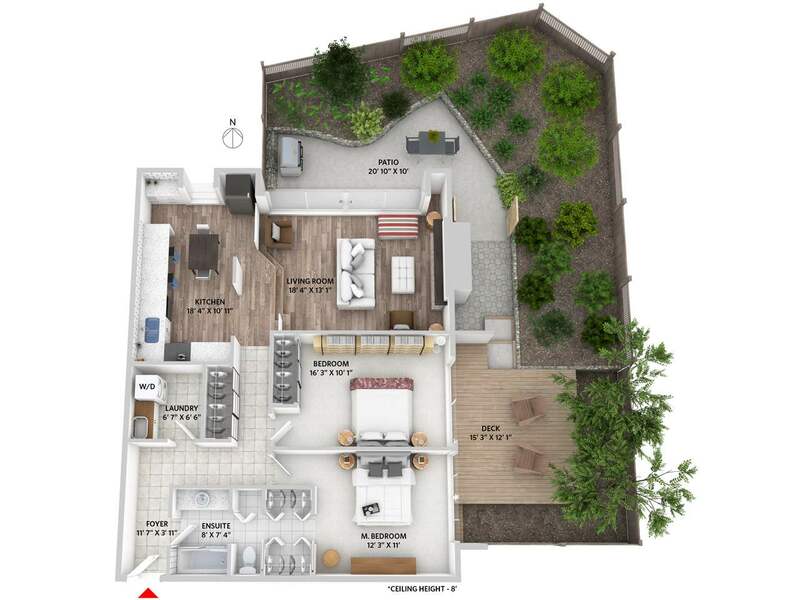 The 2 spacious bedrooms provide ample space for those looking to right-size, while still have room for guests or a home office. 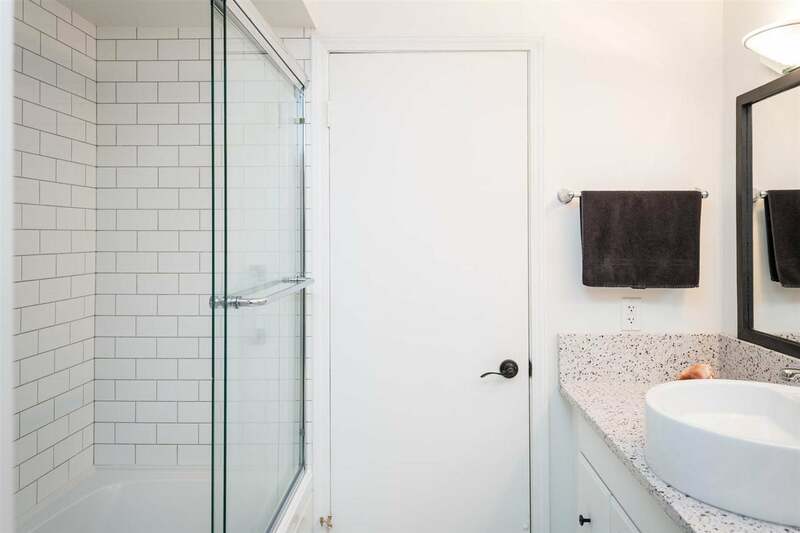 The sleek bathroom design is complimented w/ a deep soaker tub, classic white subway tile & quartz counters. 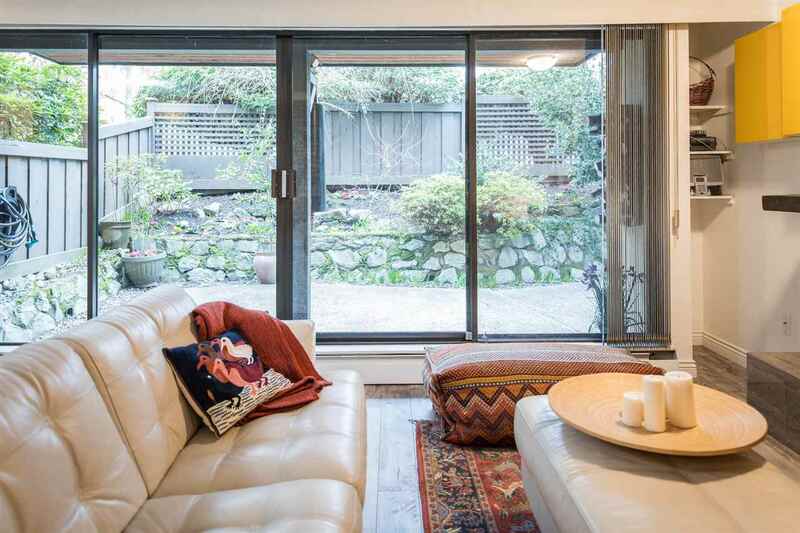 Sliding glass doors welcome you out to your oversized patio surrounded by lush landscape, with room to garden & host a BBQ w/ friends. 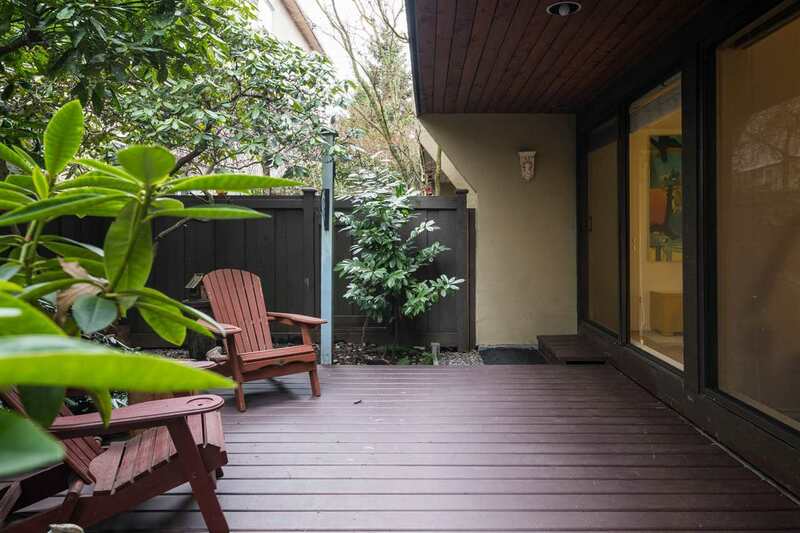 Unbeatable location for walkability, transit, medical services & restaurants. 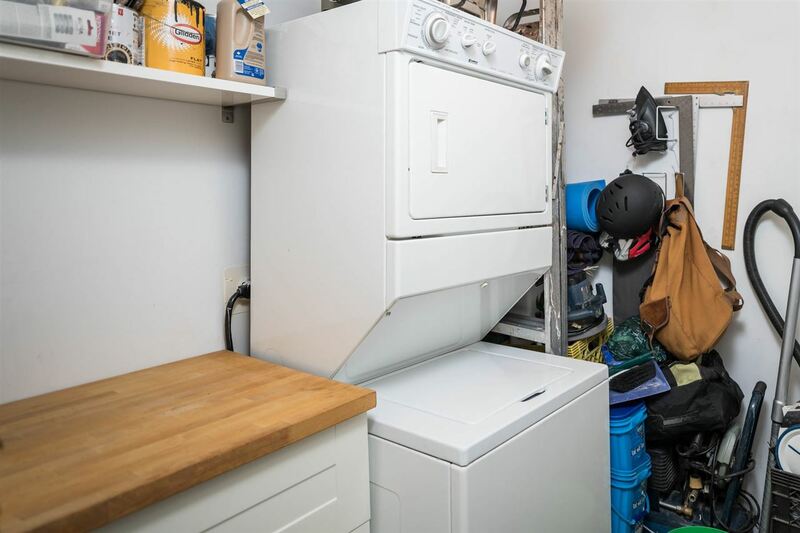 2 pets ok, no rentals, 19+ age restriction. 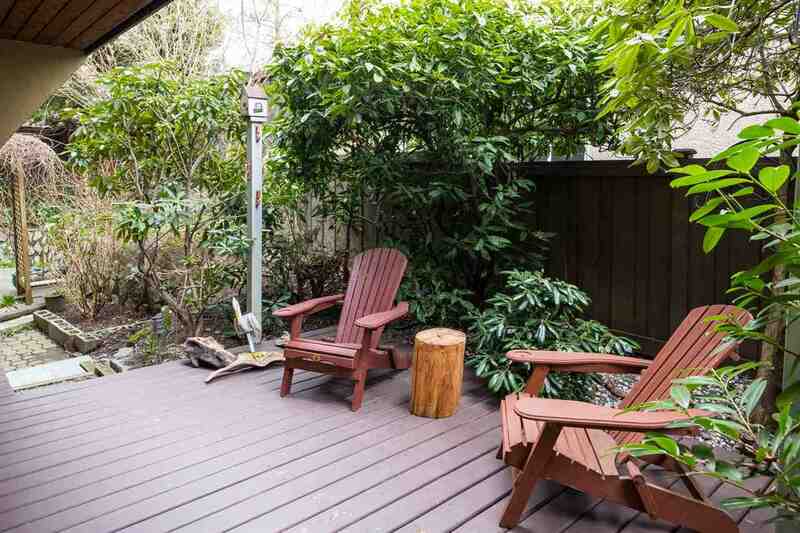 OPEN Thurs 5:30-6:30, SUN 2-4pm.